Torque Developments was established in around 1984 as a specialist automotive engineering operation to fulfil a demand for a high level of technical and practical expertise within the racing and high-performance road car sectors. 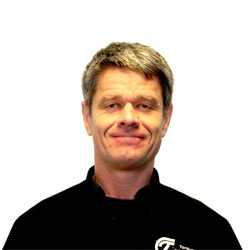 Having successfully completed a world-class apprenticeship and HND at one of the UK’s prolific engineering companies, Mark soon after founded Torque Developments International Ltd in 1984 as a business to deliver innovative and effective high-performance engineering solutions to the automotive high performance and racing markets. Having a desire for clear differentiation from its competitors, Mark changed the status of the company to become the first (and still only) Public Limited Company in this market during 1994 to give clients an additional level of confidence in the business. Mark continued to grow the business and invest in the best facilities and people available, and also take his own MBA studies in order to improve his commercial and management best practices. Looking forward, Mark is keen to continue to encourage team member continual professional development and to continue to invest in the best. Mark is currently looking at ways to transform the company again, this time to make it an Employee Owned Business to ensure that it remains efficient and effective after his succession.